Atopica is the veterinary version of cyclosporine, an immunosuppressant drug used in human and veterinary medicine for decades. 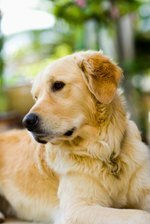 Atopica was FDA-approved for control of canine atopy or atopic dermatitis in 2003 and in 2005. Dermatological researchers Stacey Radowicz and Helen Power reported, "good tolerability in dogs treated with cyclosporine from six months' to 30 months' duration." Atopica substitutes include oral and topical cyclosporine formulate for humans, corticosteroids, antibiotics, antihistamines, homeopathic remedies, special diets, allergy shots and combinations of these treatments. Cyclosporine, a prescription drug not approved by the FDA for oral veterinary use, is approved as a topical eye ointment for dogs and occasionally prescribed extra-label for immune-related veterinary conditions. Many brands of cyclosporine formulated for humans are prescribed for dogs as alternatives to the even more costly Atopica. Cyclosporine's side effects can include loss of appetite, vomiting, and diarrhea. Cyclosporine is more effective when used in combination with ketoconazole, which increases cyclosporine's concentration. Prednisone, Depo-Medrol and dexamethasone are oral glucocorticoids or corticosteroids administered in pill, injection or spray form to reduce inflammation and itching. Because steroids interfere with the immune system's infection-fighting function, corticosteroids are given short-term to treat dogs' skin allergies. Anti-inflammatory steroids have more serious long-term side effects than Atopica, including muscle atrophy, intestinal ulcers and Cushing's disease. Before Atopica, azathioprine was used for managing canine pemphigus foliaceus, a severe skin disease. Side effects include bone marrow suppression, vomiting, diarrhea, liver disease and acute pancreatitis. Because cats are extremely susceptible to myelosuppression, azathioprine is avoided in felines, with chlorambucil occasionally used as an alternative. Side effects of chlorambucil include vomiting, diarrhea and anorexia. Tacrolimus (Protopic), a topical immunosuppressive ointment, may be less expensive than Atopica, but topical drugs alone may not be as effective for treating atopy in certain dogs. Topical corticosteroid ointment and cream, prescribed to manage mild cases of canine skin lesions caused by pemphigus, may be effective on their own, but in severe cases, they are prescribed in conjunction with oral immunosuppressants. Side effects include gastric ulcers, liver disease, diabetes mellitus and secondary infections. Antihistamines, although relatively safe, may be ineffective in controlling atopy, however, "cetirizine, a second-generation antihistamine, has given good results in the management of atopic dermatitis," according to a study published in the Canadian Veterinary Journal. Combining niacinamide with tetracycline, an antibiotic that modulates the immune system, has been successful for some immune-related skin conditions as an alternative to Atopica. Side effects include lethargy, anorexia, diarrhea and seizures. Veterinarians may try immunotherapy, "allergy shots," in which gradually increasing doses of vaccines are injected into the dog, the goal being that the dog's body will become accustomed to allergens and eventually stop reacting adversely to them. Immunotherapy requires frequent veterinary visits and may not be an effective Atopica substitute for certain immune-related atopic conditions. Dog food allergy symptoms are similar to and may co-exist with the inhalant allergies Atopica treats, so your veterinarian may recommend a change in diet. Two diets for allergic dogs are a novel protein diet, consisting of a single protein source your dog has not eaten, and a prescription-only hydrolyzed protein diet, in which the protein source is synthetically reduced into tiny fragments the allergic dog's immune system may not recognize. People who prefer not to use corticosteroids or immunosuppressants might try Calm Coat Skin Spray to relieve their pet's allergy-related discomfort, itchiness and scratching and to temporarily soothe irritated skin. Perianal fistula has been successfully managed with Atopica, but some pet caretakers prefer homeopathic remedies, such as Silicea-200 and arnica to help drain abscesses and heal open wounds.